Earned Value Management (EVM) is a project management technique for measuring project performance and progress in an objective manner. EVM has the ability to combine measurements of scope, schedule, and cost in a single integrated system. It’s notable for its ability to provide accurate forecasts of project performance problems. Early EVM research showed that the areas of planning and control are significantly impacted by its use; and similarly, using the methodology improves both scope definition as well as the analysis of overall project performance. $50 million or greater: EVM implementation compliant with the guidelines in ANSI/EIA 748 is required. An EVMS that has been formally validated and accepted by the cognizant contracting officer is required. 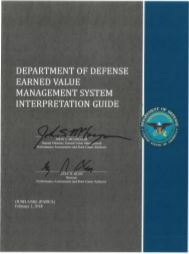 EVM is an important tool used by Program Managers (PM) and Systems Engineers in the Technical Assessment Process to appraise the program technical progress against the Performance Measurement Baseline (PMB). Systems Engineering is responsible for characterizing the entire technical scope of effort in the Work Breakdown Structure (WBS) and the corresponding event driven program implementation in the Integrated Master Schedule (IMS). The WBS and IMS form the basis of the PMB and the foundation of EVM. 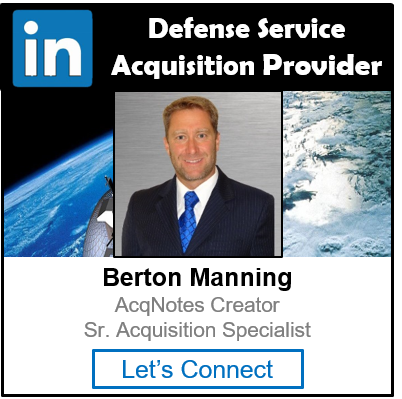 The DoD has accepted the ANSI/EIA-748 – American National Standards Institute/Electronic Industries Alliance Standard 748, Earned Value Management Systems as the DoD standard.